Katherine assesses the water quality and biological health of greater L.A.’s watersheds and assists stakeholder groups with policy recommendations. 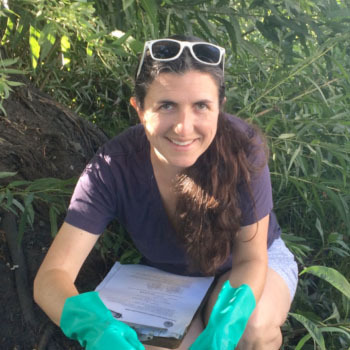 Katherine studied Ecology and Evolutionary Biology at Barnard College and earned a Ph.D. from UCLA, where she wrote her dissertation on the impacts of invasive crayfish on native frog tadpoles in the Santa Monica Mountains. Katherine is passionate about freshwater ecosystems and loves to explore L.A.’s wilderness.